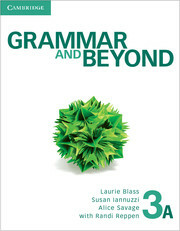 This text provides a guide to the 20 most common errors students make in writing, such as subject-verb agreement, verb tense choice, and article usage. 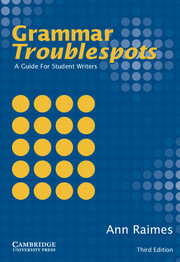 Each unit contains a straightforward description of the troublespot and practice activities. An answer key enables students to use the book as a self-study reference guide.  Illustrates 21 of the errors most prevalent among student writers.  Includes concise, straightforward explanations and well-focused exercises.  Features self-diagnostic flowcharts, grammar tables and accessible rules.